Women of all ages hear that self care is essential. We know that we can’t pour from an empty cup. While a weekend in a spa and a pound of chocolate sounds dreamy, real lives are filled with responsibilities! How do we practice self-care that sustains us, so that we can give life our best without giving up or burning out? Through this Radical Self Care circle, women seeking to integrate authentic, realistic, and accomplish-able self-care into daily life come together once a month for a committed period of six months. We create a network of accountability and support for one another as we fall in love with taking excellent care of ourselves. In this safe and shame-free container, we work on a personal level through journaling, guided meditations, and other thought-provoking exercises to identify and understand individual needs. In facilitated group work we learn and practice strong, healthy, functional self-care tools that help us fulfill those needs. Challenge yourself to define and reach for goals that serve you in living with less stress and more pleasure. In practicing solid self care, we learn to establish healthy habits, define clean boundaries, speak in truth, act in integrity and have more fun in the moment as we nurture ourselves in mind and body. With simple and practical tools, we delve into self-acceptance, overcoming resistance and transforming self-limiting beliefs. Gain self-esteem and confidence, as you move from “not enough” into action. Claim your worth, because life doesn’t need to be something you have to escape from! When: Third Tuesday of each month for 6 months, May 21 2019 to October 15 2019. Attendance each month is encouraged. Please contact Jodi in advance with any known schedule concerns. Fee: $330 package fee includes all six monthly sessions and continuous online group support throughout the six month period. A $125 deposit holds your spot, with balance due by first session. Payment plan arrangements available – just ask. This class is kept intentionally small and fills quickly, so register soon to secure your spot. How do I register? Email Jodi Green jodithedoula@gmail.com or call/text Jodi at 856.419.3690 or register online now with PayPal with your $330 total or $125 deposit. 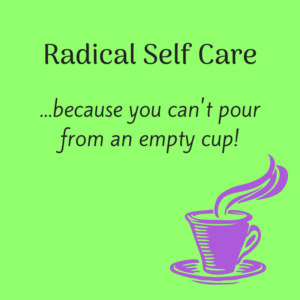 Use the notes section to indicate that this is for Radical Self Care. Facilitator Jodi Green is a labor and postpartum doula with a passion for whole-woman wellness. She is an Interfaith Chaplain, has trained and certified in Naturopathy and many physical and emotional healing modalities. 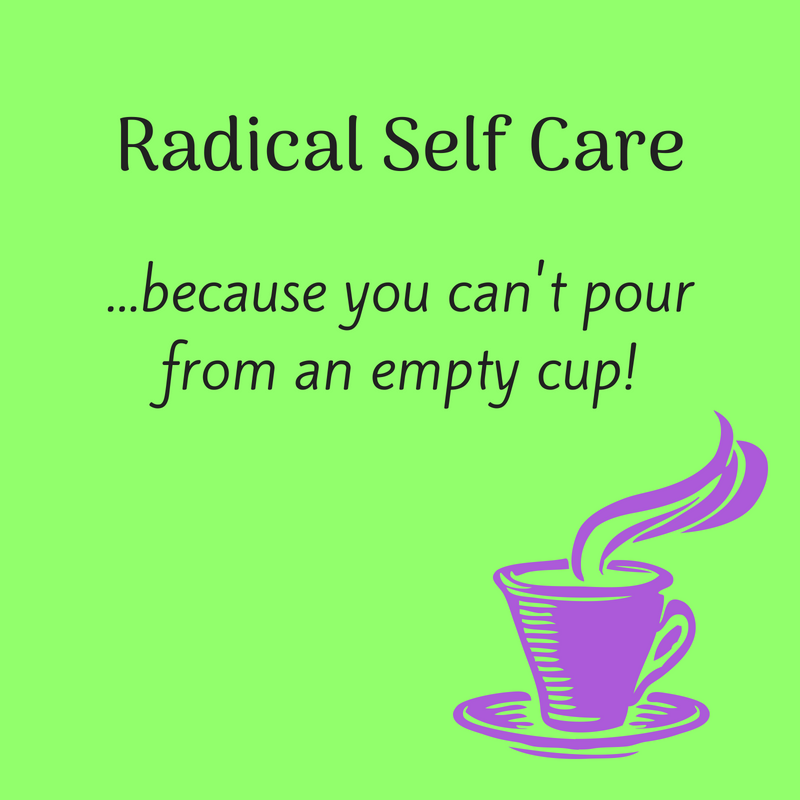 She is thrilled to be offering Radical Self Care, now in it’s tenth cycle, at The Village!